Low fertility rates as well as high life expectancy are responsible for the ageing of the population in most industrialized countries. It is estimated that in 2060 more than a quarter of the European population will be older than 65 years. Consequently, more people will become care-dependent. In most of the cases relatives take the biggest share in caring for their beloved. However, taking care of relatives is often connected to burdens. With our solution DALIA we want to solve that problem. 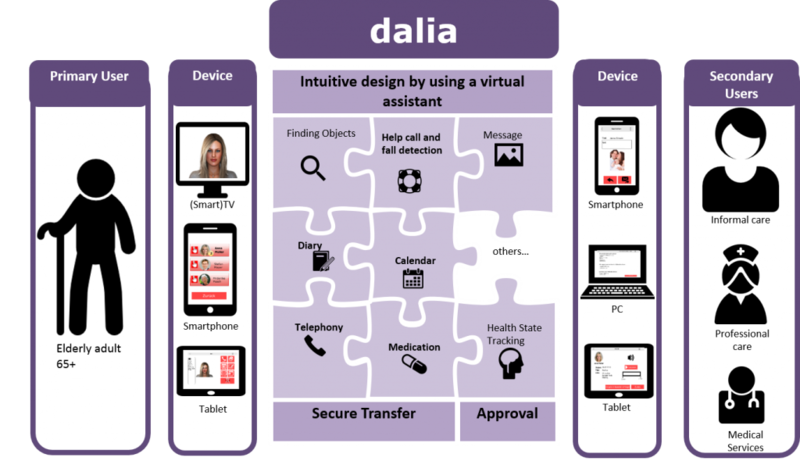 DALIA provides an integrated, individually tailored home system based on a personal virtual assistant that supports and empowers elderly adults to live independently at home and care for themselves as long as possible as well as informal carers in their work to relieve stress. 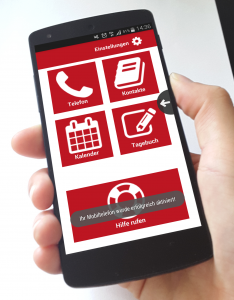 DALIA provides an interactive Personal Virtual Assistant: Most of the elderly people are not used to technical devices or are physically not able to operate them without help. 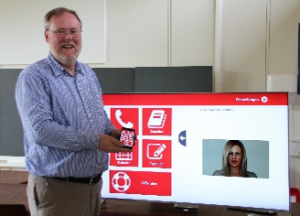 DALIA uses a personal virtual assistant with human appearance supporting speech interaction to hide this technical complexity. DALIA is an interactive but modular solution: AAL solutions tend to focus on a single area and use specialized devices. If care is needed in a broader sense this leads to installations of multiple systems. DALIA aims to run on consumer devices that are found in many of today’s households (smartphone, smart TV, tablet). 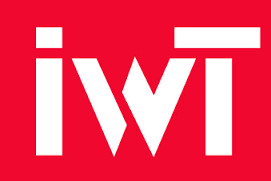 It seamlessly integrates different service modules in a single application that can run on those devices. To build up trust in the system and to protect the privacy of its users, DALIA integrates state-of-the-art encryption. 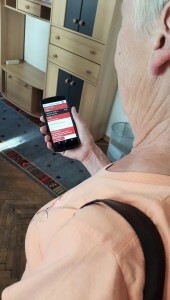 A directed approval through the elderly adult permits other users to connect to DALIA. If the elderly adult has given permission to access the data, involved carers (informal carers, formal carers and medical services) may give support from remote by e.g. adding appointments or reminders, managing the medication or simply giving a video call to have a talk. 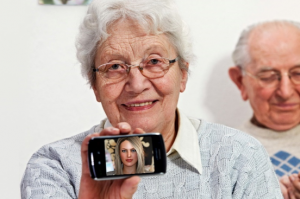 Elderly adults in turn can share their experiences from the day via photos or messages with the involved carer and let them take part in their life. DALIA involves real end-user and care organisations in the development and attaches great importance to end-user involvement. Therefore, all end-users are involved during the whole project in a multi-staged approach in four different countries. 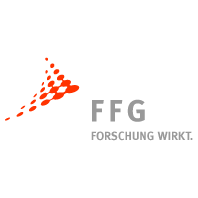 The DALIA project is co-financed under the Ambient Assisted Living Joint Programme of the European Commission (www.aal-europe.eu) and the National Funding Agencies of Austria, Belgium, Netherlands and Switzerland.